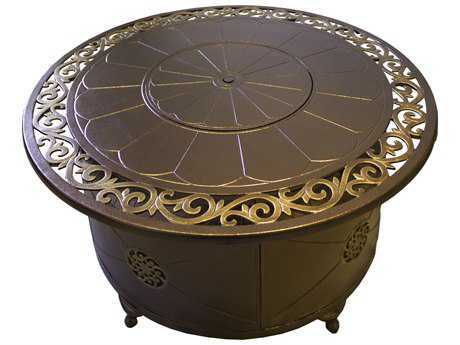 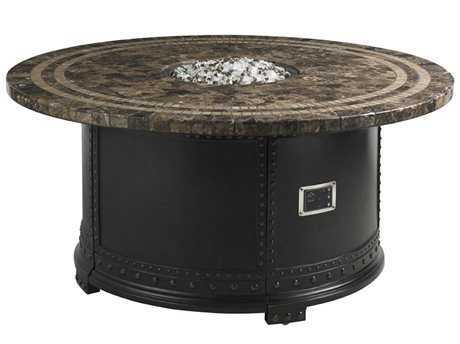 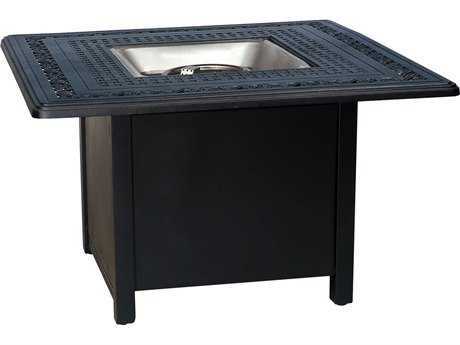 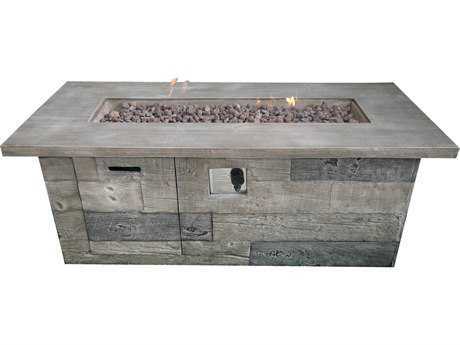 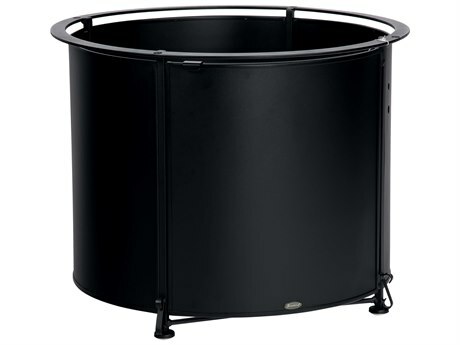 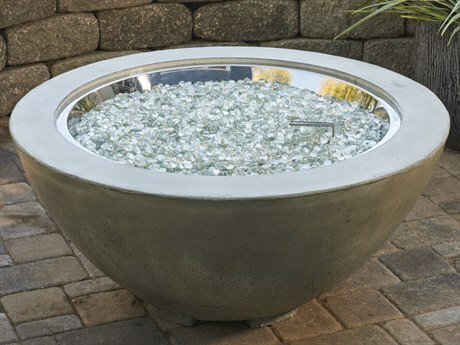 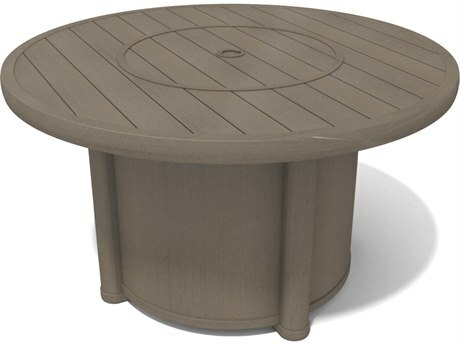 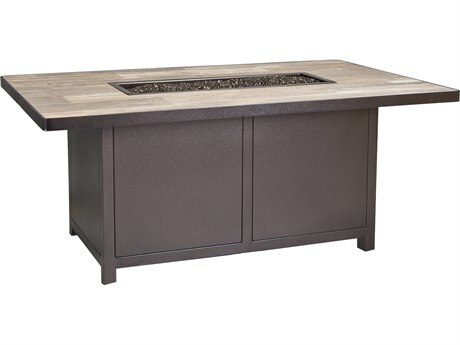 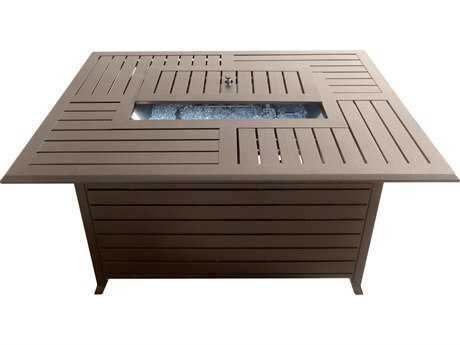 A patio fire pit table can serve as a unique decorative element in any outdoor space. 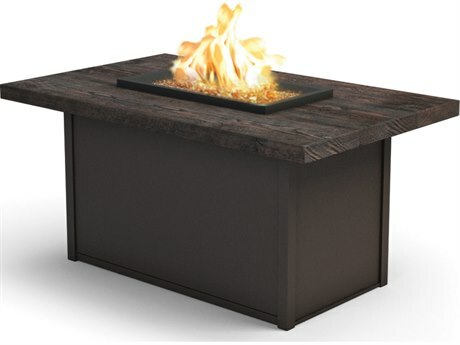 These outdoor fire pit tables, crafted from a variety of fine base materials with striking tops, safely maintain an authentic flame for hours. 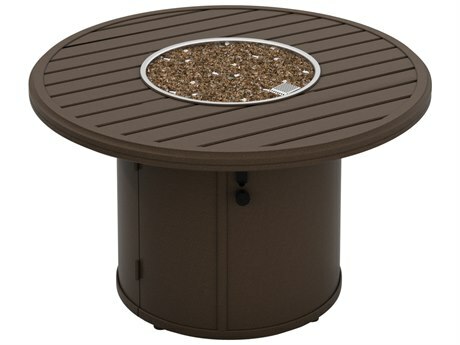 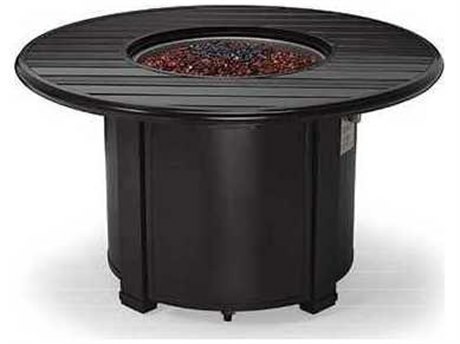 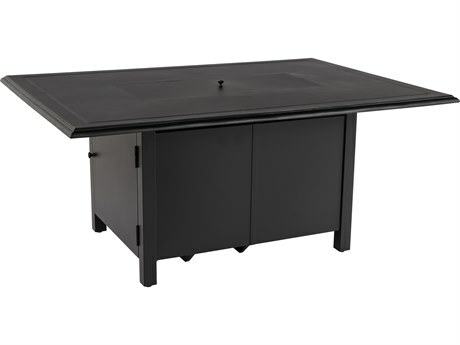 Generally fueled by propane, outdoor propane fire pit tables carry a wide variety of distinct appearances and include numerous functional elements. 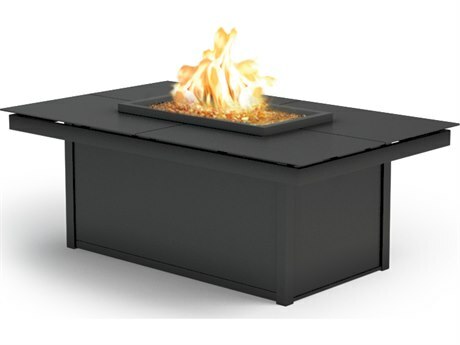 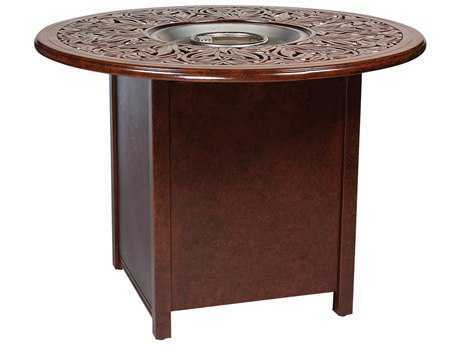 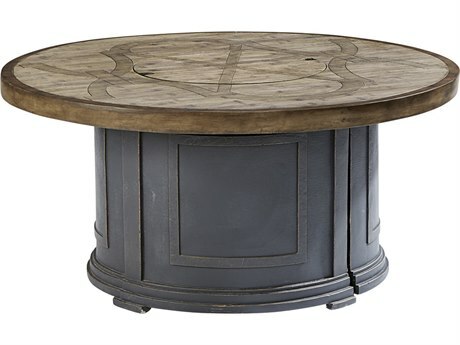 These tabletop fire pit tables are available as dining tables, coffee tables, and several other table types. 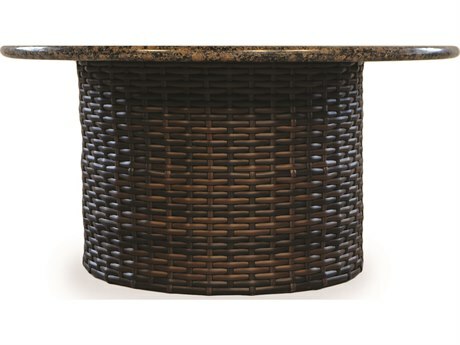 PatioLiving carries furniture from some of the best brands. 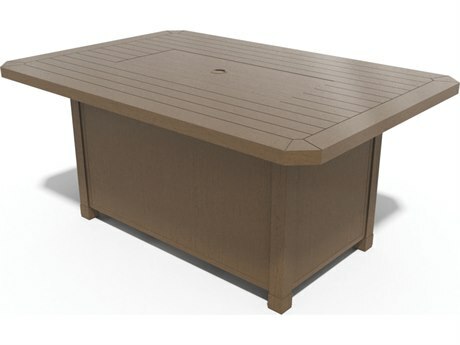 Our inventory includes various sizes, shapes, colors, and styles, with options to appeal to diverse aesthetic tastes and many spatial requirements. 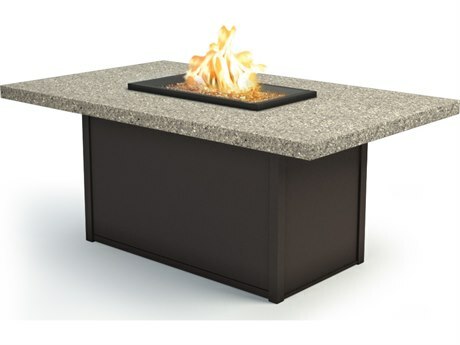 Outdoor fire pit tables are an impressive addition to outdoor spaces with notable benefits and advantages. 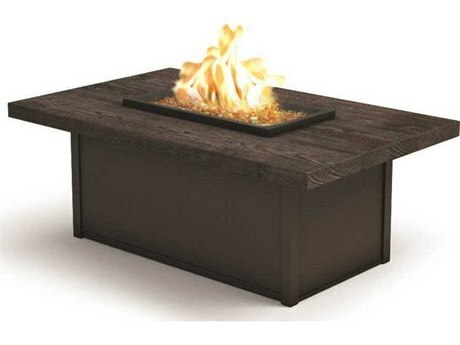 All of PatioLiving's fire pits are typically highly decorative, with base frames and tops crafted from two or more complementary materials. 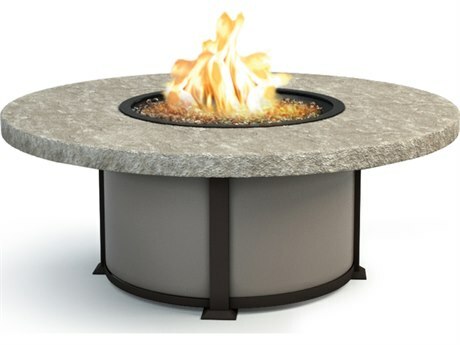 For a more understated look, metal fire pit tables with homogenous material builds are also available. 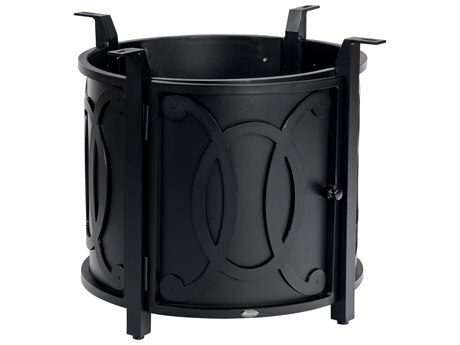 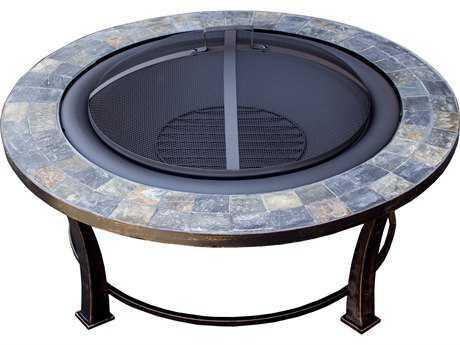 Common material constructions used in manufacturing fire pit tables include stone, aluminum, wicker, and wrought iron. 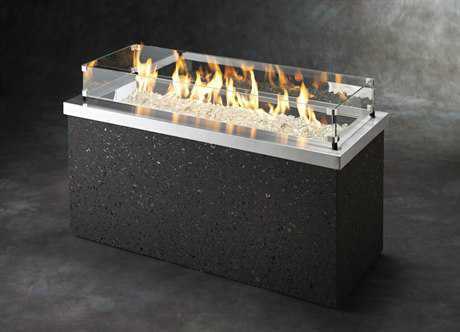 The flame of outdoor fire pit tables serves to warm the direct surrounding area, making these furnishings ideal for use in cooler climates. 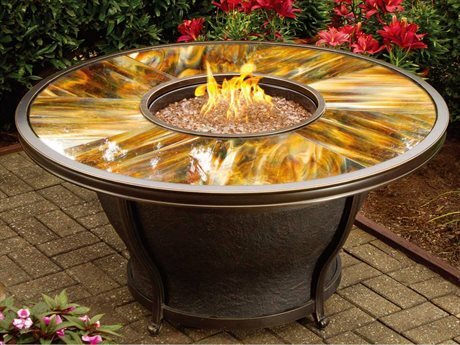 These backyard fire pits make it possible to comfortably enjoy any patio space well into the chilly fall season. 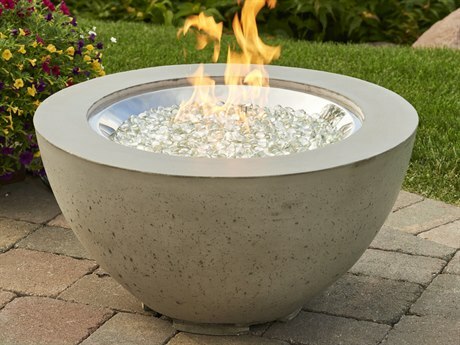 Additionally, the flame serves as a natural light source, helping to illuminate any patio space after dark. 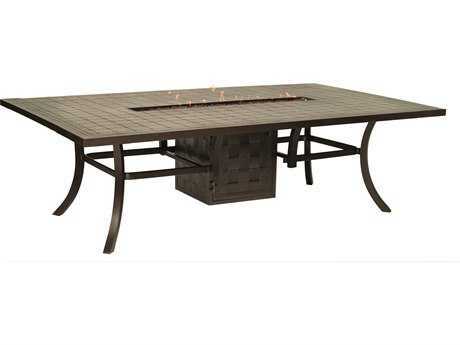 Fire pit tables vary in height and are typically intended for use as a coffee table, dining table, or bar table. 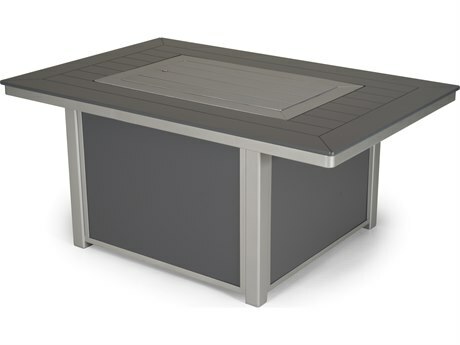 Outdoor fire pit tables are also engineered for safety, with select models including fire screens, and easy to operate gas power controls. 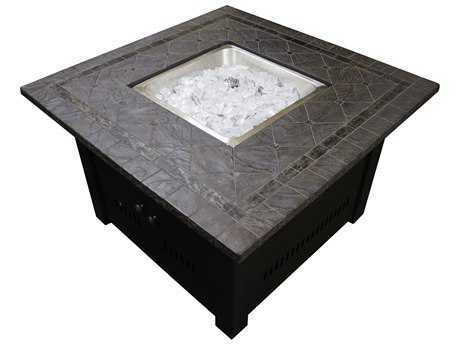 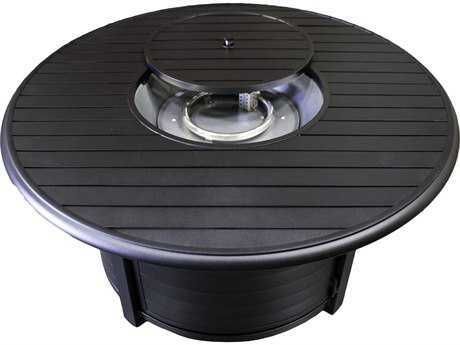 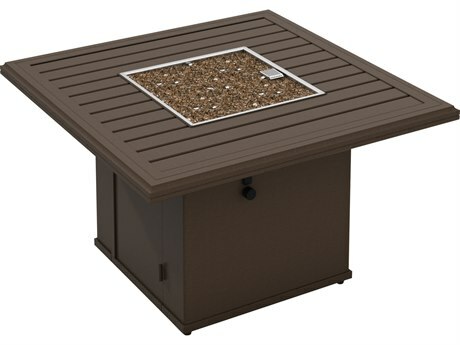 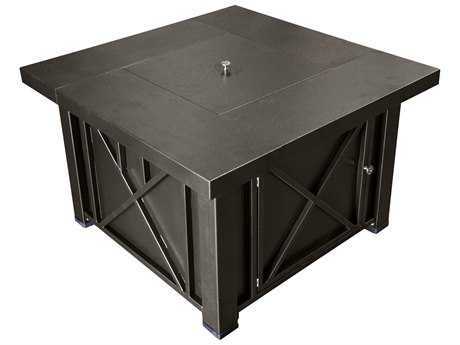 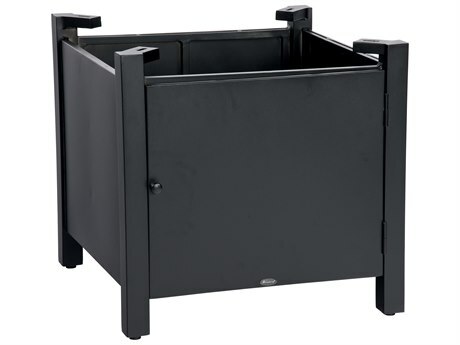 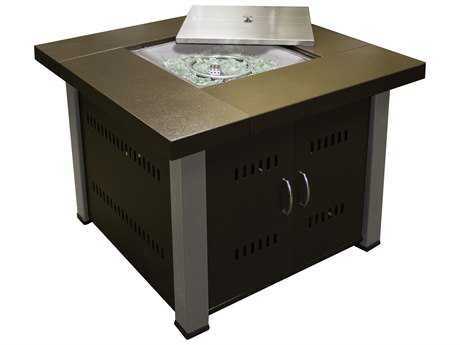 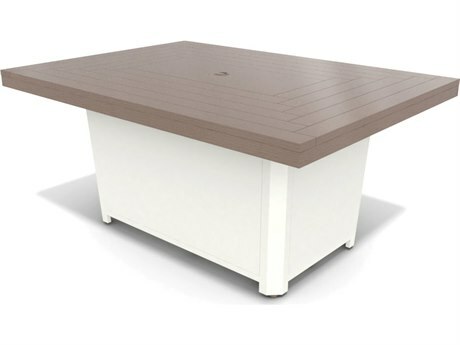 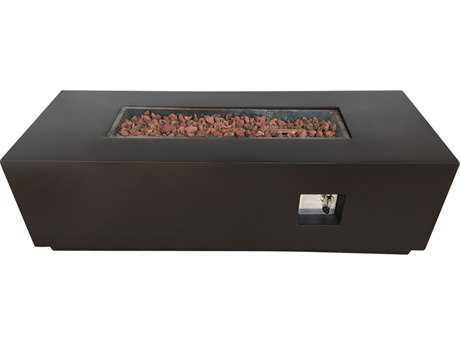 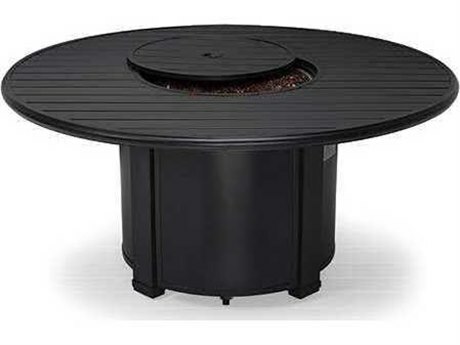 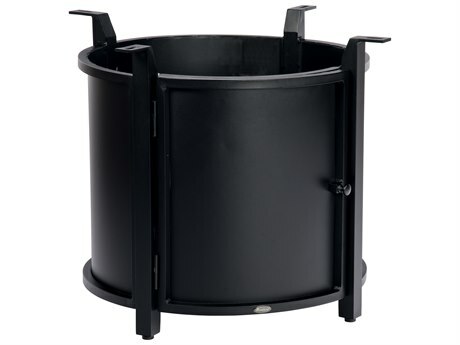 Their propane fire pit gas tanks are discreetly housed within the base table unit and can easily be replaced once empty. 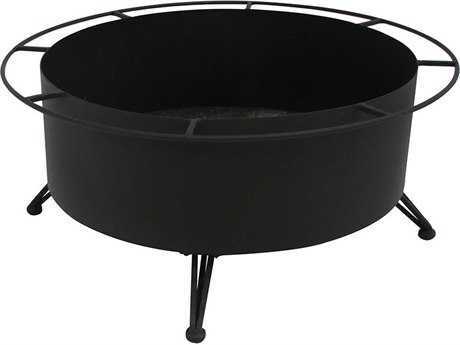 In addition to propane fire pits, PatioLiving also offers gas fire pit tables, wood burning fire pit tables, and smokeless fire pit tables. 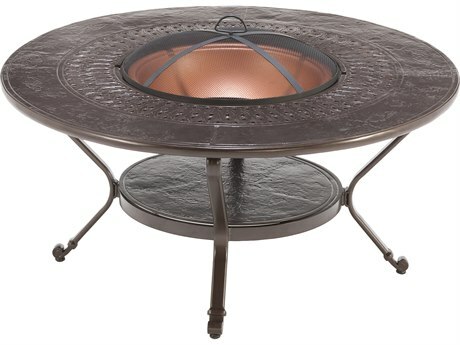 Outdoor fire pit tables are a striking decorative accent in and of themselves and function well in most outdoor settings. 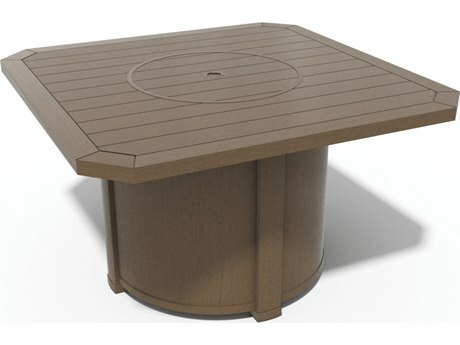 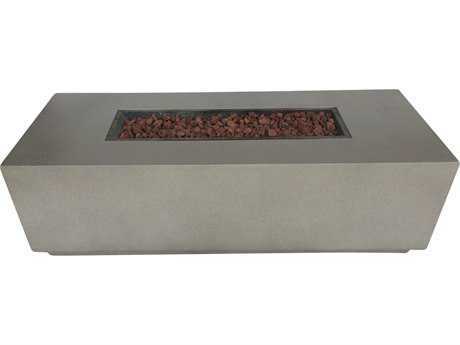 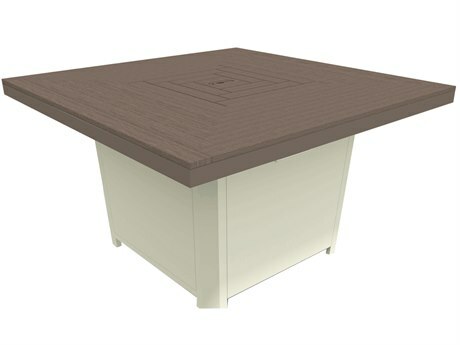 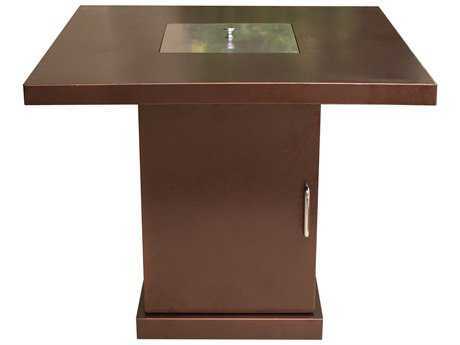 Many outdoor gas fire pit table models feature options for customization, such as multiple finishes and glass stone color options. 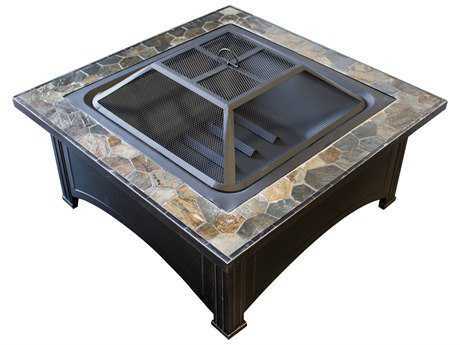 Depending on their use, PatioLiving's propane fire pit tables pair well with dining chairs, bar stools, or lounge furniture, such as sofas or lounge chairs. 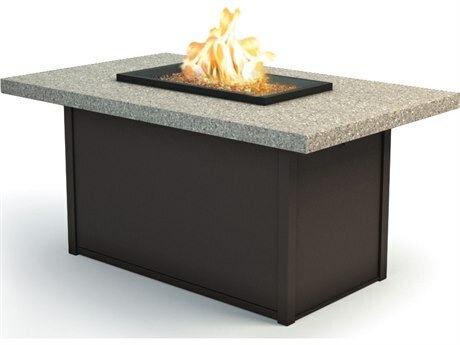 Large and small fire pit tables can be used in conjunction with additional outdoor lighting solutions to aptly illuminate any outdoor patio space. 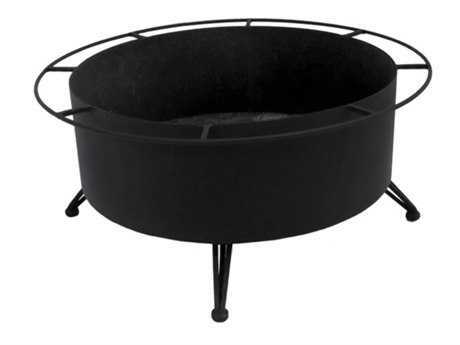 To fit any space and your decorating needs, PatioLiving's outdoor fire pits are available as round or square fire pit tables. 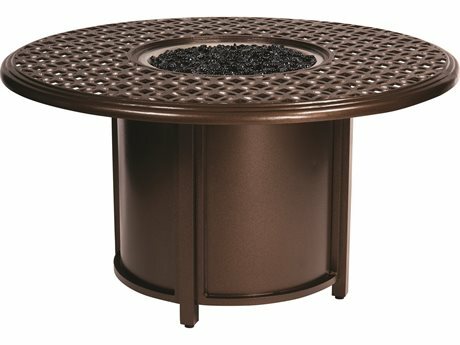 To learn more about fire pit tables, make sure you read PatioLiving's Fire Pit Table Buying Guide!